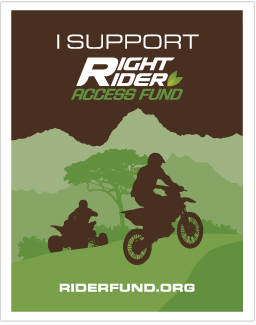 The scholarship is being offered by the Right Rider Access Fund and is administered by the National Off-Highway Vehicle Conservation Council. The applications are due in the NOHVCC office on December 3rd, 2014. NOHVCC will review the applications and choose a winner in the shortest amount of time possible. Spring courses begin January 12th, 2015. For more information regarding the scholarship or to receive an application, contact NOHVCC staff at trailhead@nohvcc.org. For additional information regarding the content of the course, contact Theresa Litteral M.S. at tlitteral@njrati.org.